South Andaman and Rutland Islands in India are underlain mostly by hard rocks of ophiolite igneous suite. Ophiolites are incipiently weathered and water-bearing fractures occur up to 100–120 m depth. During the study, potential springs in ophiolite were discovered in Rutland Island. This has enabled to formulate a plan for interisland transfer of spring water to the water-scarce capital town of Port Blair. More than 200 borewells are operative since the 1990s in South Andaman for various purposes. The mega earthquake (M = 9.3) of December 26, 2004, had stupendously influenced the hard rock aquifer whose effects are still persisting. After the disaster, in higher elevations, both groundwater and surface water were either dried up or yields declined. At lower reaches, springs were generated. Studies were undertaken to resolve the water scarcity in elevated areas applying artificial recharge. Surveys pinpointed fractures for water well construction and grouting. Highlights of work are focused in the paper. The author expresses his sincere gratitude to Shri K.B. Biswas, chairman of the CGWB, for his permission and enthusiasm to publish the paper in the International Conference. The author is indebted to Dr. D. Saha, Member (SAM) of the CGWB, for his inspiration during the preparation of the manuscript. Regional directors of Eastern Region Kolkata office of the CGWB are acknowledged for providing infrastructural facilities. The author expresses his gratitude to the Lt. Governors of the Andaman and Nicobar Islands; Chief secretaries, Development commissioners and Secretaries of the APWD; A&N Administration; Chief engineers of the Andaman Public Works Department, Military Engineering Service and Andaman & Lakshadweep Harbour Works; and Director of Agriculture of A&N Administration, for their constant enthusiasm and needful logistics during the long course of work in the remote islands. Their keen attention to implement the projects had enhanced the working experience and spirit of the author. 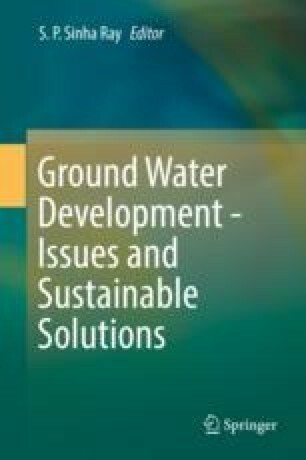 The author gratefully acknowledges the inspiration received from Dr. S. P. Sinha Ray, former Member of the CGWB, President of the CGWS and organizer of the International Conference. Constructive suggestions from him were pivotal for improvement of the manuscript.